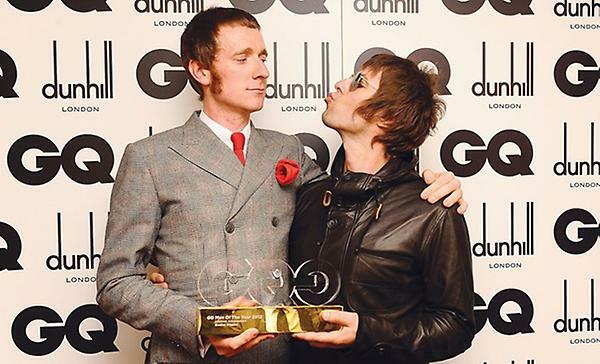 In a surprise announcement last month at the GQ awards in London, Liam Gallagher announced that Brit cyclist Bradley Wiggins would replace his brother Noel Gallagher as guitarist for the band OASIS. After collecting a TdF yellow jersey and an Olympic gold medal, the mod-styled Wiggins was a natural choice. To celebrate the union, Wiggins and Gallagher began a wild brawl backstage leading to Wiggins refusing to return to the stage and Gallagher breaking a bicycle. Shortly before midnight, Wiggins posted a statement online “with some sadness and great relief…I quit Oasis tonight. People will write and say what they like, but I simply could not go on working with Liam a day longer”.